A few weeks back, the MDC-T organised a policy conference to discuss their new 247 page policy document, ART – the Agenda for Real Transformation. There is much to commend in this document, and the commitment of the MDC actually to discuss policy is heartening. There has been a serious dearth of policy discussion across the past decade, and this is a valuable attempt to get to grips with some of the really pressing issues any government will face. In a pair of Hot Seat radio interviews with Violet Gonda, Tendai Biti, the MDC-T’s Secretary General and current finance minister in the GNU discussed the contents (listen or review transcripts here and here). The overall vision is “a modern, healthy, functional, integrated democratic developmental state with a vibrant, socially just green economy that takes pride at leaving no one behind”. No complaints with that. Equally, the sections on security sector reform, mining revenues, industrial cluster development, strategic infrastructure investment, social services and more are all good contributions. But sadly the sections on agriculture and land are rather poor, suffering from a combination of inconsistencies, confusions, inaccurate data and poor analysis. 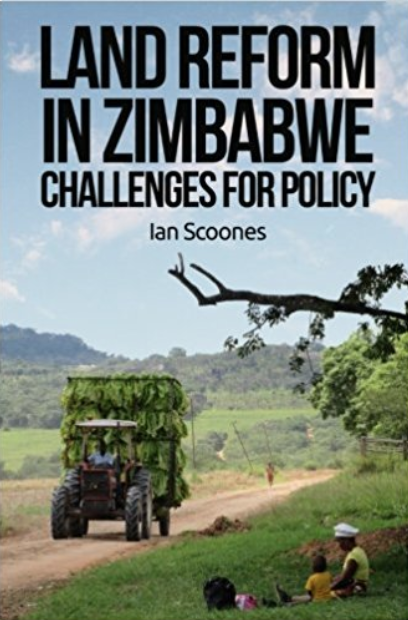 Why is it that after so long (the policy has taken apparently two years to produce, based on consultations across the country, page 2), the MDC has not been able to get to grips with the agriculture and land, and come up with a more coherent policy position? I guess it reflects the lack of capacity and the background of the leading players. Tendai Biti himself is a lawyer, and not versed in issues of agronomy or land administration, while other leading lights, Morgan Tsvangirai included, come from an urban, labour union background. Those with a rural brief include Eddie Cross, whose view on private property is informed by right-wing think tanks such as the Cato Institute with which he has been associated, and Roy Bennett, who comes from a commercial farming background, and does not seem to recognise the potentials of the land reform. There are of course other lobbyists and funders in the local and international community who continue to be committed to a reversal of the land reform, arguing that it has had few if any benefits. So anyone trying to draft rural policy for the MDC is severely handicapped by these limits and competing pressures. What then does the policy say? I am not totally clear of the document’s status, as it does not appear on the MDC website, so I presume it remains a draft. If the number of typos that are present is anything to go by, I assume this to be the case. So accounting for this provisional basis, what can we glean? First, and significantly, the document incontrovertibly states (again) that the land reform is not reversible. It also sets out some laudable principles for a land policy, including: equity in access and distribution; efficiency in its utilization; accountability in its management; transparency in the conduct of its governance; legitimacy in the eyes of the Zimbabwean public; participation by Zimbabweans of all classes, gender and ethnic backgrounds and security for all who make their living from the land. Overall, the policy aims to create “a new order of economically viable, market-directed commercial farmers, with the family farm as the basic model”. All good, sensible stuff. “After 10 years of chaotic land invasions and the illegal dispossession of the majority of commercial farmers, only a tiny proportion of the target of 8 million hectares has been lawfully taken over and the rest lies largely deserted and unproductive. The farms have been taken over by a political elite that has been unable to maintain production and has presided over the decimation of the capital infrastructure that had existed on the farms prior to the FTLRP….As a consequence agricultural production has declined by nearly 80 per cent, exports have plummeted and nearly 70 per cent of all foodstuffs are being imported. Some 400 000 farm workers have been displaced with their families plunging nearly 2 million people into destitution and homelessness”. Here in a few sentences are all the myths we highlighted in our book presented in condensed form: that the reform was ‘chaotic’ and solely instrumentally led by ZANU-PF, the land lies largely idle and unproductive, that only the elite cronies have taken over, infrastructure has been decimated and that production (in general) has collapsed, with two million people being projected into destitution and homelessness due to farmworker displacement. All of these statements are not based on the accumulating evidence. The pattern is variable, but there are some clear trends, now from numerous studies, and this sort of statement, that frames the overall response, just does not add up. Having set this (inaccurate) picture up, the policy proceeds to outline what the responsibility of an MDC government should be: essentially to reverse this (bad) situation. There is the usual list of things to do, including infrastructure development (notably irrigation), fertiliser and input supply and new technologies (including genetically modified crops). There is a modernising zeal to the narrative – new technologies and investment will come to the rescue. In a Tony Blair style incantation, Biti in his Hot Seat interview identified a key solution as “research, research, research”, and claimed that maize would soon be produced at 12-15 tonnes a hectare (even under a MDC government, somewhat unlikely!) Many of the suggestions (especially small scale irrigation) are sound, but of course this perspective fails to address the past critiques of top-down, technology-driven modernisation of agriculture, from the Native Land Husbandry Act onwards – see for example the work of Jos Alexander or Mike Drinkwater, among many examples. More importantly, the document fails to develop a vision for land and agriculture that takes the new agrarian structure into account. Framed in terms of righting the wrongs of the Fast Track process and providing a technical solution, rooted in a market oriented approach, it does not examine how small, medium and large scale estate agriculture might operate together and how a territorial, regional approach might contribute to integration, adding value and generating multiplier effects. The AFD/DBSA report of last year offers some sensible pointers that could have been taken on, as does the most recent World Bank report on agriculture, and of course we offered our own suggestions based on a decade of work in Masvingo in the final chapter of our book (for a summary, see the blog next week). The [fast-track land reform] programme failed to support the newly settled farmers with skills, equipment, finance and marketing opportunities….this had serious ramifications for the entire economy as backward and forward linkages ..Consequently, this had multiplier effects on agro-based industries.. These are important commentaries, although without much detail of how it will be done in the context of the new agrarian setting. The agriculture section of the document, does not really engage with this at all, simply listing types of intervention, without an overall strategy. Overall, the policy’s framing is very much one centred on macro-economic restructuring, and economic growth. While positioned in terms of a ‘developmental state’ argument (one of Biti’s familiar refrains), the details seem more old-fashioned Washington Consensus – get the market fundamentals right and all will follow (there is much talk of ‘market flexibility’, ‘opening up for business’ and so on). That this approach has been so massively discredited seems to have passed the drafters by. It may be appealing to the international community, including potential donors and investors, but will it work, and perhaps even more significantly will it be acceptable to a population already starkly divided by haves and have nots, and having suffered years of financial mismanagement – from ESAP to Gono’s casino economy? This contradiction was not lost on the Secretary General of the Zimbabwe Congress of Trade Unions, Japhet Moyo, who launched an attack on the document at the conference, something that clearly did not please the party hierarchy. The free market ideology that Moyo objected to also pervades the discussion of land, particularly around tenure. The policy announces a programme of what Biti terms ‘giving title’ in his Hot Seat interview transcript: “Number three, give title, give title to everyone who owns land right now. Give title, Zanu PF is refusing to give title even long leases because it is using land as a political field”. But it’s not at all clear what this really means, as while the document refers to the intention “to design and universalize a system of tenure” (p. 48) across all land categories in order to deliver, it argues, security of tenure, opportunities for collateral and so on, in other sections there are commitments to some form of village tenure in communal areas, leases in resettlement lands and freehold tenure elsewhere. Underlying this all is the familiar argument about the importance of private property rights (title, title, title). This has of course been long challenged, both in Zimbabwe and beyond. There is no strong evidence that there is an automatic causal relation between private property rights and economic growth and investment, despite the influential arguments of de Soto and others. Instead the relationship between property rights, investment and economic growth is much more complex, and is conditioned by wider factors, such as political stability, the investment environment, local institutional arrangements for land access, and so on. Embarking on expensive cadastral surveys and land administration exercises is very often a big mistake, as study after study has shown. There are plenty of other routes to the same end that are more effective and cheaper. As Professor Rukuni (and many, many others) have long argued, a differentiated response is required that accepts multiform tenure, but does not go down the risky route of mass land titling. In other areas, there is confusion too. The policy position on compensation seems to contradict the newly agreed Constitution, by arguing that compensation must account for not only ‘improvements’ but the land itself, across all areas, and not just investment areas (BIPPAs). It’s not totally clear in the document, but Biti in his Hot Seat interview, seemed to confirm this impression. Equally the policy suggests leases will be issued in A1, A2 and old resettlement areas and “leaseholders will be required to contribute to the payment of compensation to the original owners in order to legalise such arrangements” (p. 54). Despite the very sensible formula propounded by Professor Rukuni again, and largely agreed by key stakeholders, the MDC seem to have backtracked on this, opening themselves up to a long and protracted process that will be difficult to resolve sensibly. This strikes me as a big mistake, as most players want a quick resolution to this crucial issue, with compensation paid swiftly on the basis of a clear formula. Other areas of land policy repeat existing policy, and the Constitutional provisions, including allowing for land ownership by all Zimbabweans, whatever their racial origins, the requirement for a land audit, the establishment of a Land Commission, a restriction on maximum farm sizes and a limit of one farm owned per person. All of this is at least notionally accepted by all actors. The challenge for an incoming government will be to implement these provisions, and it is good that the MDC-T is committed to doing so. If the document is a draft and discussions are ongoing, then there is a chance presumably to debate, adapt and change the document. It is good that it is out in the open and can be subject to scrutiny. Indeed it is the only policy prospectus from across the political parties that is available. However, it does need some serious further thought. You say that ” … 10 years of chaotic land invasions and the illegal dispossession of the majority of commercial farmers …” is a myth – but how do you refute the fact that reform was not chaotic? As far as I know, you have not discussed the numerous farm labourers (and land-owners) that were murdered during the course of reform. These people were Zimbabwean citizens. I cannot see how you have disputed myths regards reform without candid discussion of the loss of life. Of further interest, I note that BabaJukwa has published a list of the names (and ID numbers) of persons assigned multiple-farm owners. Worth a look – and perhaps even worth a comment? I agree with David. I can’t see what is inaccurate about the P 44 parargraph you highlight. From a humanitarian perspective, I don’t wish the new farmers ill – but one has to consider the broader picture of present-day Zimbabwe, which includes on-going human rights abuses.